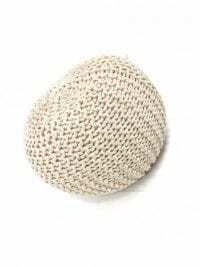 White beaches, driftwood and yacht’s… If you are wanting to create a beautiful understated and chic theme without actually going to the Mediterranean, then take a look at our Mediterannean props. 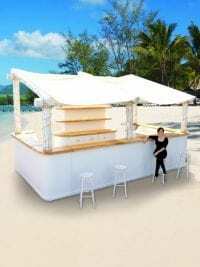 Luxury Beach Bar for hire! Could this be any more perfect for a Mediterranean or Caribbean themed event? This bar will really set the scene. With a cream front, wood grain effect bar top and a canvas canopy with rope detailing, this bar comes with loads of serving space and room underneath to hide your fridges. The rental price also includes a fantastic matching back bar unit that you can load up with bottles of Malibu, Sangria and all your favourite cocktails (not included!). 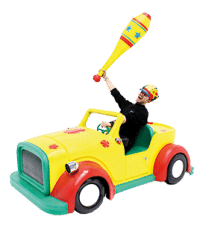 Please note that the bar wasn't really photographed on a beach and is suitable for indoor use only; being photographed outside only due to its size! Also, please note that the stools are available to hire separately – SN1253. Giant Fig Tree to hire. 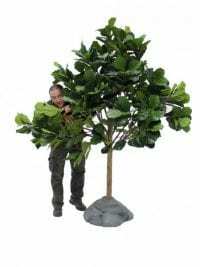 Take a look at this realistic artificial (fiddle leaf) fig tree we have in our hire stock. 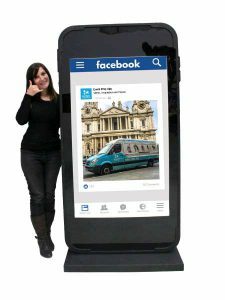 At a whopping 3m tall it can be used across all sorts of themes at your party or event to help set the scene. The tree comes complete with mock stone base. We can also offer a slightly smaller version of the same tree (see below). 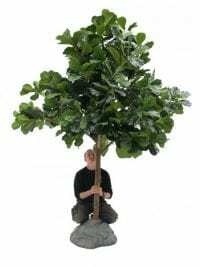 Take a look at this realistic artificial (fiddle leaf) fig tree we have in our hire stock. 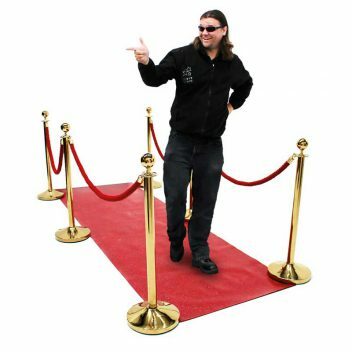 At 8ft tall it can be used across all sorts of themes at your party or event to help set the scene. The tree comes complete with mock stone base. 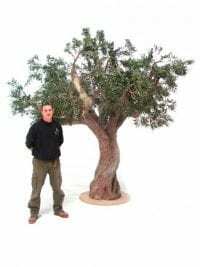 We can also offer a slightly larger version of the same tree (see below). 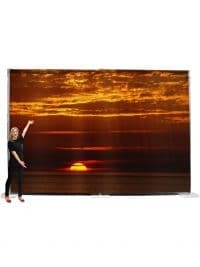 A beautiful sunset scene backdrop which is perfect for any Caribbean themed party or event. 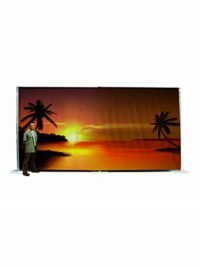 It provides a stunning setting to position other related props in front of, such as our Palm Trees, to create a full sunset scene. 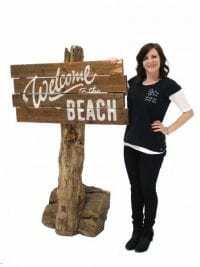 Rustic Welcome to the Beach Sign for hire. This is a stunning sign made from reclaimed wood that is full of gnarled character! 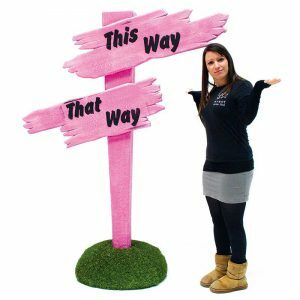 It will make a great sign for any beach or seaside themed event but would suit lots of other themes such as Pirate, Peter Pan or African. 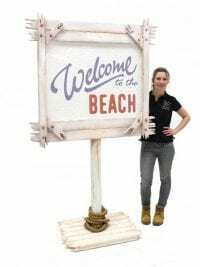 Driftwood Welcome Sign for hire. This sign is made from whitewashed wood to create a lovely driftwood effect! 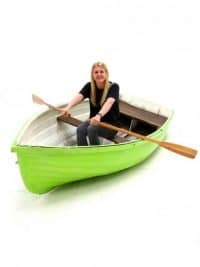 It will look fab welcoming your guests at any beach or seaside themed event, or how about for a cruise or Caribbean theme? We also offer a customised version of the sign available here. 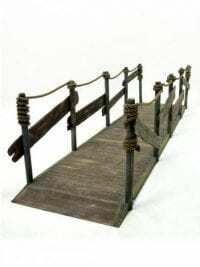 This rustic wooden walkway is perfect for any number of themed events including a Pirate, Beach or Caribbean themed event or party! 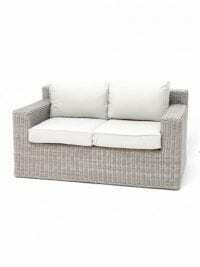 Take a look at our stylish weather resistant Rattan effect sofa for hire. 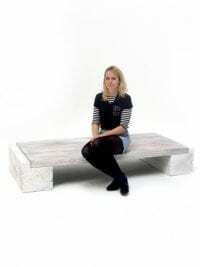 This contemporary sofa will provide a very comfortable and attractive seating area for your event or party and will fit in with a whole range of themes. The Rattan effect sofa is also available with a matching armchair and low table; pictures below. 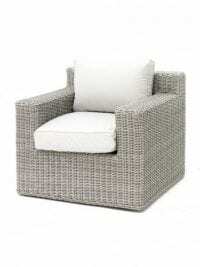 Take a look at our stylish weather resistant Rattan effect armchair for hire. This contemporary armchair will provide a very comfortable and attractive seating option for your event or party and will fit in with a whole range of themes. The Rattan effect armchair is also available with a matching sofa and low table; see the pictures below. Take a look at our stylish weather resistant Rattan effect table for hire. 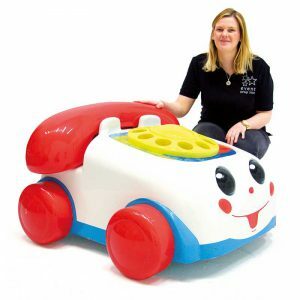 This contemporary table can be used in many ways and with a whole range of themes, but will form a particularly attractive themed area for your event or party when used with our matching sofa and chair (see below). 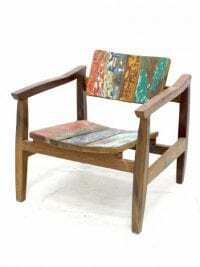 Reclaimed Coloured Wood Chair for hire. This is a stunning reclaimed wooden table that would look great in so many themes, from Caribbean to Cuban or from African to Circus! Made from recycled teak wood with a metal base, this table will really help to dress your themed event or party. Check out our matching table too. Please note that the price quoted is for one chair and that each is slightly different. The table is available under code FUR524. Reclaimed Coloured Wood Table for hire. Please note that the price quoted is for one table and that each is slightly different. The chairs are available under code FUR523. Reclaimed Coloured Wood Side Table for hire. Please note that the price quoted is for one table and that each is slightly different. 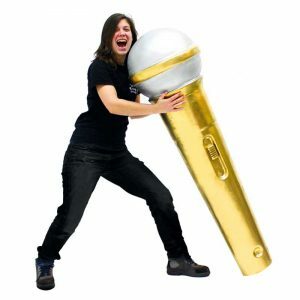 We have matching items available pictured below. Junk Metal Coffee Table for hire. 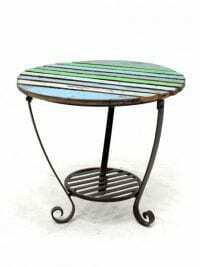 This is a stunning low metal table that would look great in so many themes, from Caribbean to Cuban or from African to Circus! 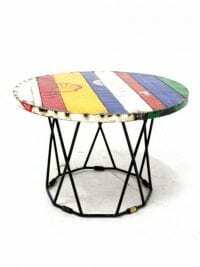 Made from recycled colourful metal, this table will really help to dress your themed event or party. Please note that the price quoted is for one table and that each is slightly different and rustic by nature. We have matching items available pictured opposite and below. Please note that the price quoted is for one chair and that each is slightly different and rustic by nature. We also have matching items available pictured opposite and below. 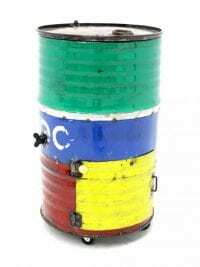 Junk Metal Oil Barrel Cooler for hire. 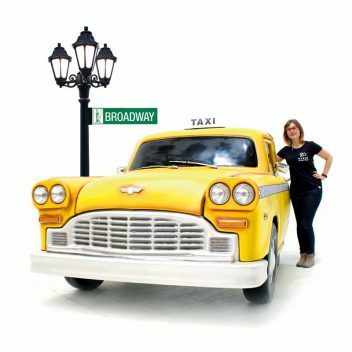 This is a prop that doesn't just look great it's is also fully working! The cooler is insulated so all you need to do is slide the lid across, pop some ice and your drinks in the top and away you go. It also has a handy cool cupboard in the bottom; useful for keeping further drinks cool without ice, or for storing a few empties. 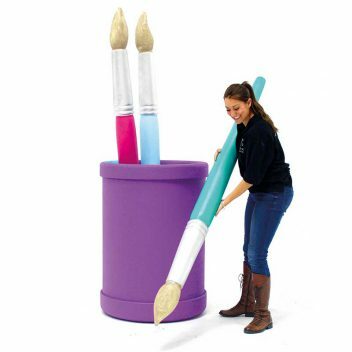 The cooler will look great in many themes, from Caribbean to Cuban or from African to Circus! 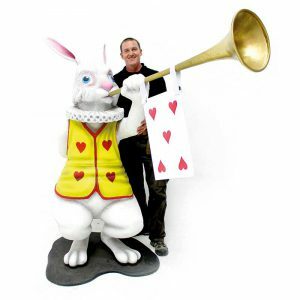 Made from recycled colourful metal, it really will help to dress your themed event or party, as well as being useful! Please note that drinks and ice are not included! 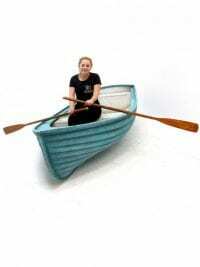 Wooden Boat Bench for hire. 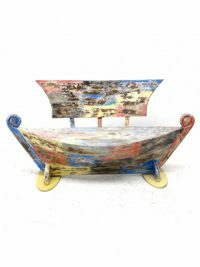 This is a stunning rustic wooden bench in the shape of a boat, complete with wooden 'sails'! 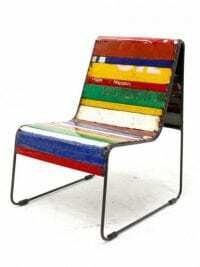 It would look great in so many of our themes, from Seaside to Caribbean, or Rio to African! Please note that this item is purposefully designed to be rustic and worn looking. 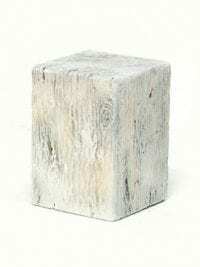 Reclaimed Wooden Block Stool for hire. 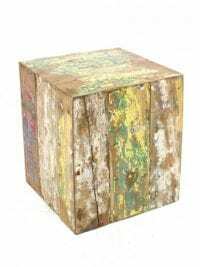 This is a stunning reclaimed wooden stool that would look great in so many themes, from Caribbean to Cuban or from African to Circus! 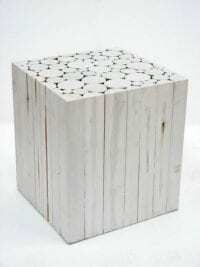 Made from recycled wood this stool will really help to dress your themed event or party. Please note that the price quoted is for one stool, that each is slightly different and by their nature are worn looking. We also have matching & complementary items available (pictured opposite for inspiration and below). Reclaimed Wooden Side Table for hire. This is a stunning reclaimed wooden table that would look great in so many themes, from Caribbean to Cuban or from African to Circus! 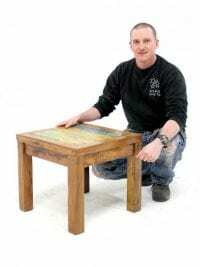 Made from recycled wood this table will really help to dress your themed event or party. Please note that the price quoted is for one table, that each is slightly different and by their nature are worn looking. We also have matching & complementary items available (pictured opposite for inspiration and below). Reclaimed Wooden Bar Stool for hire. 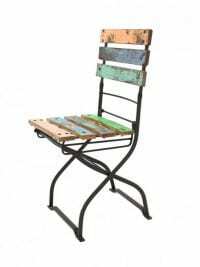 This is a stunning reclaimed wooden stool that would look great in so many themes, from Caribbean to Cuban or from African to Circus! 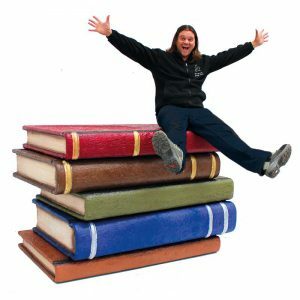 Made from recycled wood this stool will really help to dress your themed event or party. Try them with our rustic or pallet bars for a really authentic rustic feel. Please note that the price quoted is for one stool, that each is slightly different and by their nature are worn looking. 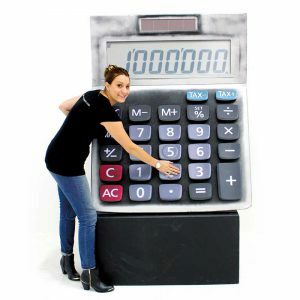 We also have matching & complementary items available (pictured below). 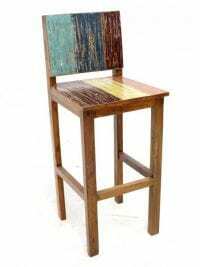 This is a stunning reclaimed wooden stool that would look great in so many themes, from Caribbean to Cuban or from African to Circus! 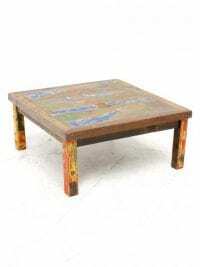 Made from recycled wood this table will really help to dress your themed event or party. Try them with our rustic or pallet bars for a really authentic rustic feel. Reclaimed Wooden Coffee Table for hire. This is a stunning reclaimed wooden coffee table that would look great in so many themes, from Caribbean to Cuban or from African to Circus! Made from recycled wood this table will really help to dress your themed event or party. 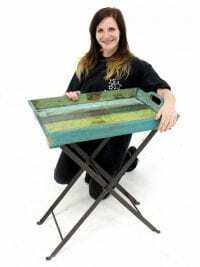 Reclaimed Coloured Wood Tray Table for hire. Check out our reclaimed table and chairs too. Rustic Driftwood Effect Table for hire. 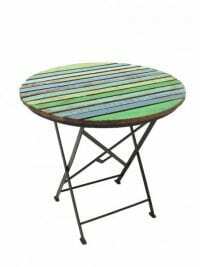 These Tables are perfect for use at a Beach Party or Caribbean themed event. Please note: these items are not made from real wood. 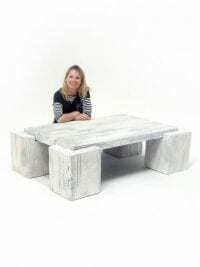 Wood Cube Table furniture to hire. This stylish solid wood table is constructed from a number of vertically orientated logs of differing sizes and stained in a sleek white to give a simple yet elegant furniture solution. This table would be perfect contemporary furniture hire for any number of events and will be supplied with an acrylic top for easy wipe cleaning. ]Rustic Driftwood Stool to hire. 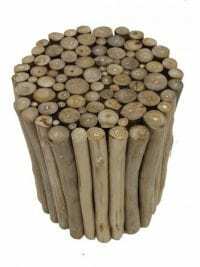 This stylish Driftwood Stool is constructed from a number of vertically orientated logs of differing widths creating a simple yet elegant furniture solution. This stool would be the perfect contemporary furniture hire for any number of events to create an unusual seating or breakout area. Wicker cube seat furniture to hire. 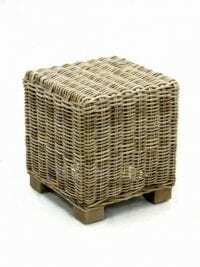 This wicker cube seat, made surprisingly enough from wicker, would be perfect furniture hire for any number of events where stylish yet simple furniture is required. 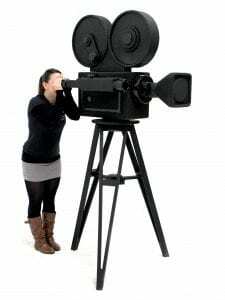 Lightweight and compact, they are a breeze to setup and arrange however you want! 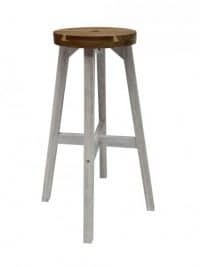 Rustic White Bar Stool to hire. These rustic looking white stools are the perfect furniture items to hire for any Caribbean or seaside themed event and would look great with our Luxury Beach Bar (BAR78).